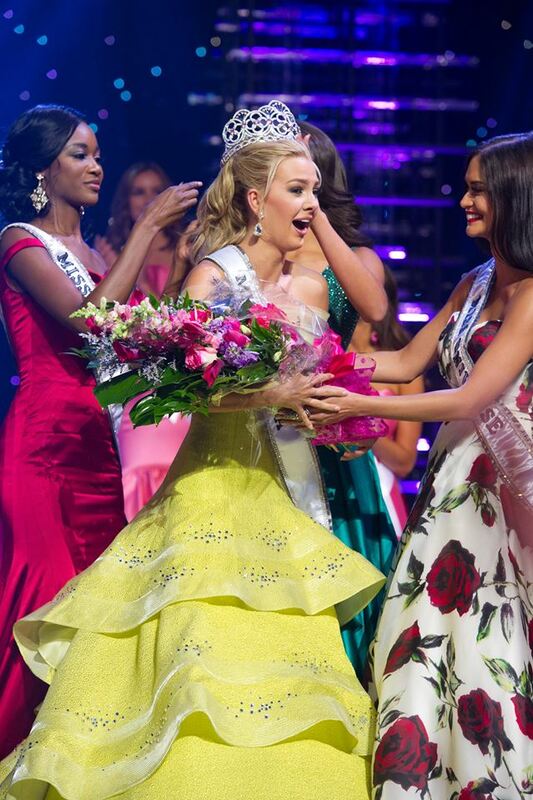 Miss Texas Teen USA, Karlie Hay, was named Miss Teen USA 2016 in Las Vegas, Nevada earlier today. The 18 year old beauty is the third winner from her state to capture this title and will now start working with the Miss Universe Organization alongside Miss USA and Miss Universe. Hay stands 1.70m tall and she's from Tomball. It's the first time since 2011 that Texas captured the crown and it happened on the 20th anniversary of their first title (1996). The first runner-up was North Carolina's Emily Wakeman, while South Carolina's Marley Stoke finished as the second runner-up. Miss Alabama, Erin Snow, was named the third runner-up and the homegirl, Miss Nevada, Carissa Morrow, finished as fourth runner-up. The top 15 were completed by the delegates from California, Delaware, Georgia, Illinois, Louisiana, Missouri, Ohio, South Dakota, Tennessee and Vermont. She's gorgeous. Loved Alabama and Nevada too. Interesting that it was an all blonde top 5. Can't even remember when last that happened. Several of these girls should go for Miss USA in the not too distant future. Georgia and Delware should definitely cross over. Same goes for Vermont, Washington and Wisconsin. Loved the winner, Loved Alabama and Nevada both should have been higher. Did not get N. or S. Carolina. Would have replaced them in the top 5 with Delaware and Vermont. Congrats Texas a worthy winner. more to the story coming up... Ms Hay now is in the middle of controversy using the "N word" on Twitter. Now I am wondering if she will be able to keep her crown!!! Yes, she is a beautiful winner but I also agreed with Andrei and choose Delaware to win!! !